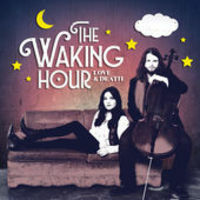 The Waking Hour is a singer-songwriter duo from Metter, GA. The duo is made up of husband and wife, Bryan Gibson and Angela Wolff, who play the cello and piano respectively. They often collaborate with other artists - Bryan has most recently toured with Chris Cornell (frontman of the bands Soundgarden & Audioslave) on the Higher Truth world tour. Their debut EP, “Love & Death” was released last August on iTunes and Spotify, and they are currently composing material for a new album in 2017. Has a nice funky groove to it. Good song to start the day.